India has always boasted of its rich cultural past. Different dynasties brought different traditions and most of them marked their presence in the history books by constructing various monuments. According to me, forts, out of all the other monuments, are the ones which have the most interesting stories to tell. 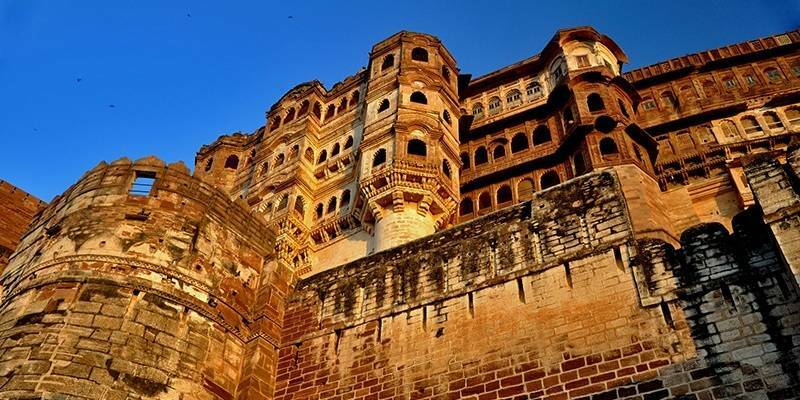 Here is a list of 15 most magnificent Forts in India that are the example of great fort architecture of India. 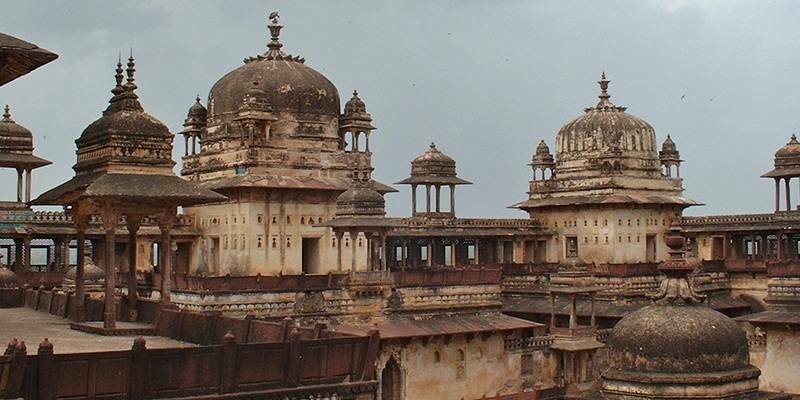 Gwalior Fort is located in the state of Madhya Pradesh, India. It was built in the 8th century by Man Singh Tomar. It stretches over an approximate area of 2.9 sq km. It is enclosed by tall sandstone walls. It has two entry gates- Hathi Pol and Badalgarh Gate. The fort houses many temples, water tanks and palaces. Teli Ka Mandir is one of the oldest part of this fort. It was initially dedicated to Lord Vishnu but later a Linga was constructed to worship Lord Shiva. The Man Singh Palace is the grandest palace in this fort. It was built by Ruler Man Singh. King Man Singh built Gujari Mahal for his wife. This palace has now been converted into a museum and is open for public display. It houses some very rare artefacts. Apart from these key attractions, Garuda Monument, Saas Bahu Temple, Karn Mahal, Vikram Mahal and Chhatri of Bhim Singh Rana also lure many tourists. The Kangra Fort is located near Dharamshala, Himachal Pradesh, India. The oldest mention of this fort is available in the chronicles of Alexander The Great. It has also been talked about in Mahabharata. Kangra Fort was built by Katoch Dynasty. It is considered to be the oldest fort in the country. As you enter through the gate, a small courtyard will greet you. There are many entrance gates to this fort namely, Ahani Darwaza, Amiri Darwaza, Jehangiri Darwaza and Darsani Darwaza. Many statues and shrines of Goddess Ganga, Yamuna and Lakshmi are present. Near the entrance gate is a museum where artefacts realted to the history of Kangra Fort are present. Refreshments are also available in this area. Kangra Fort is one of the most beautiful forts in India. Its location in the hills and near the valley increases the grandeur of this place. Mehrangarh Fort is situated in Jodhpur, Rajasthan. It was built by Rao Jodha in 1420 and it is believed to be the largest fort in India. It is located at an elevation of 120 m above the city. The gates itself are a sight to behold. There are a total of seven gates, each having its own history. Jai Pol was constructed by King Man Singh when he defeated Jaipur and Bikaner. Fateh Pol was made to commemorate the defeat of Mughals. Dedh Kamgra Pol has cannonball imprints which were shot by the armies from Jaipur. Loha Pol is the most grand gate of all. Next to this gate, handprints can be noticed. These are of the queens who burnt themselves when King Man Singh died. 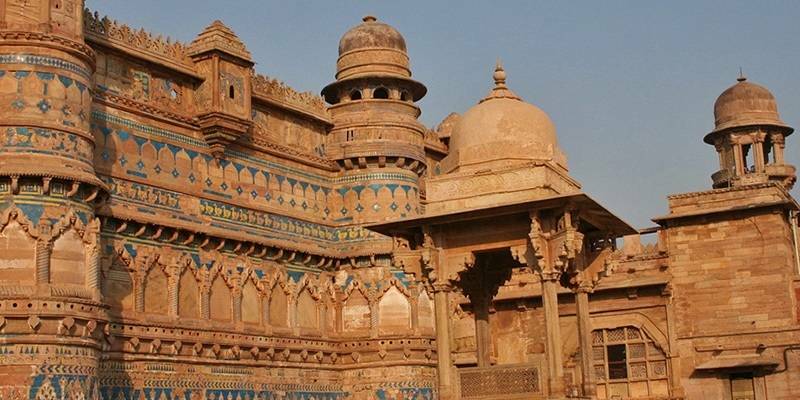 This fort also houses many grand palaces like Moti Mahal, Phool Mahal, Sheesha Mahal and Daulta Khana. A museum is also present within the premises of the fort. Many artefacts including paintings and palanquins are present. Chamunda Mataji Temple is another important site of attraction. 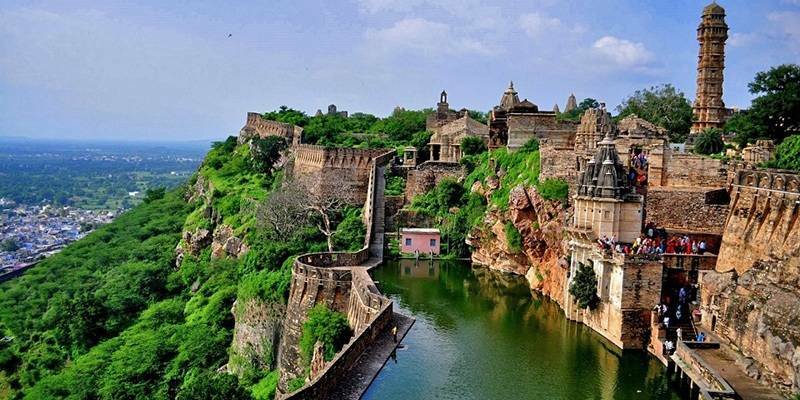 Chittorgarh Fort is located in Rajasthan, India and was built in the 7th century by Mauryan rulers. It has been declared a World Heritage Site. Though now in slight ruins, it is loaded with significant historical events. The fort has been defeated three times and about 13,000 Rajput ladies have committed Jauhar to save their honour. The fort houses about 4 memorial sites, 4 palaces, 20 main temples and more than 15 water bodies. There are a total of seven entrance gates, namely, Ram Pol, Padan Pol, Laxman Pol, Bhairon Pol, Jodla Pol, Hanuman Pol and Ganesh Pol. There are two tall magnificent towers called Vijay Stambh and Kirti Stambh. Rana Kumbha Palace, Fateh Prakash Palace, Gaumukh Reservoir, Padmini’s Palace, Meera Temple, Kalika Mata Temple, Tulja Bhavani Temple are some of the many awe inspiring sites you must visit. Annually, Jauhar Mela is held to pay homage to the three Jauhars held in this fort. Jaisalmer Fort located in Rajasthan, is considered to be one of the largest forts in the world. It has been declared a World Heritage Site. It was built by the Rajputs in 1156 AD. Yellow Sandstone has been used to construct this fort, thus it is often called the Golden Fort. 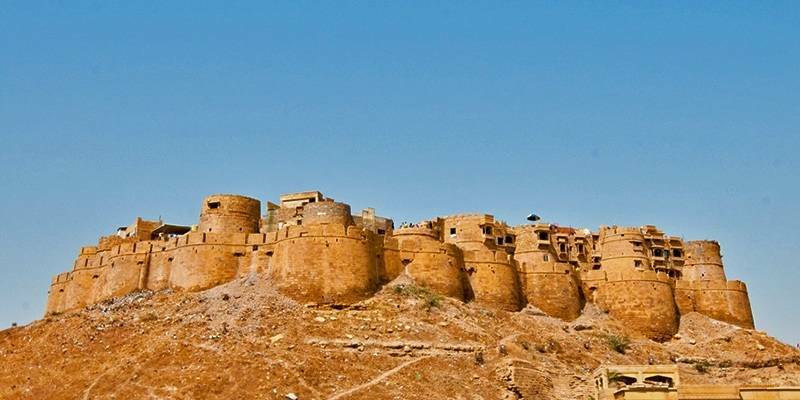 Jaisalmer Fort has witnessed some very significant historical events. The fort is built on a hill and is about 1600 feet long. Four majestic entrance gates adorn the fort. Raj Mahal is the main sight of attraction. The architectural beauty of this palace is awe inspiring. Laxmi Nath Temple is another place which is often frequented by tourists. Many merchant houses are also present in this complex. These were built by the wealthy merchants of that era. The fort also houses a museum which displays some valuable pieces of lost history. Restoration work is in progress to increase the grandeur of this fort. 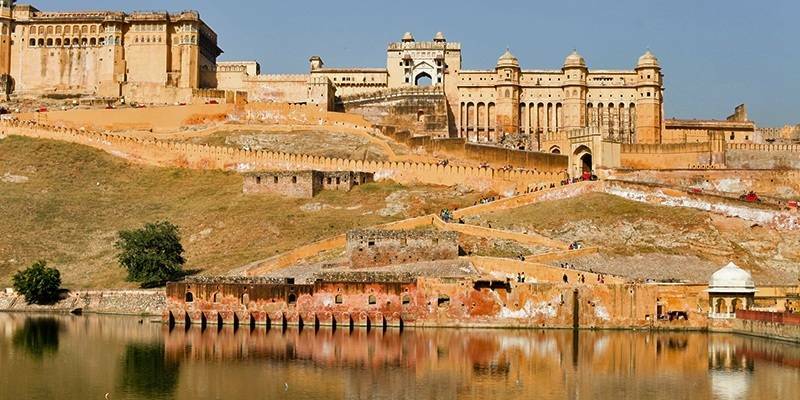 Amber Palace, also known as Amer Fort is located near Jaipur, Rajasthan. It was built in 1592 by Raja Man Singh. Located on a hill, it is one of the most frequented tourist attraction of the area. The fort has four gateways for each section which leads to a courtyard. The intricate architectural design is sure to leave you spellbound. The ceiling paintings using pure gold as paint are completely awe inspiring. Sheesh Mahal or the Mirror Palace is another sight to behold. The whole palace is covered with mirrors and many movies have been shot here. Sila Devi Temple present here attracts many devotees every day. The panoramic view of Maota Lake adds to the grandeur of this place. The Fort has been well maintained by the authorities. The Sound and Music Show at night is something that you must attend at least once in your lifetime. Kumbhalgarh Fort is loacted in Mewar, Rajasthan, India. It was built by Rana Kumbha in 15th century. The great King Maharana Pratap was born here. 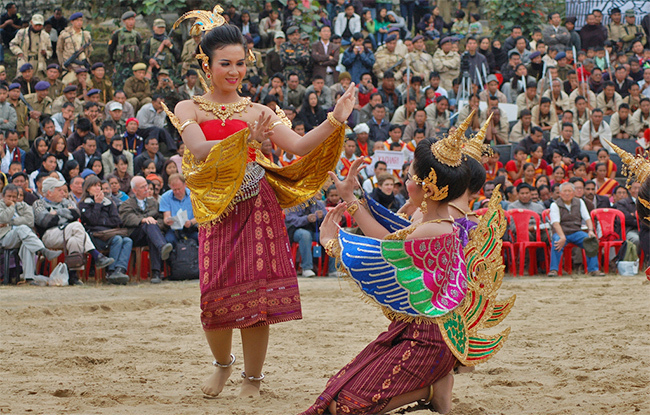 It has been declared a World Heritage Site by UNESCO. 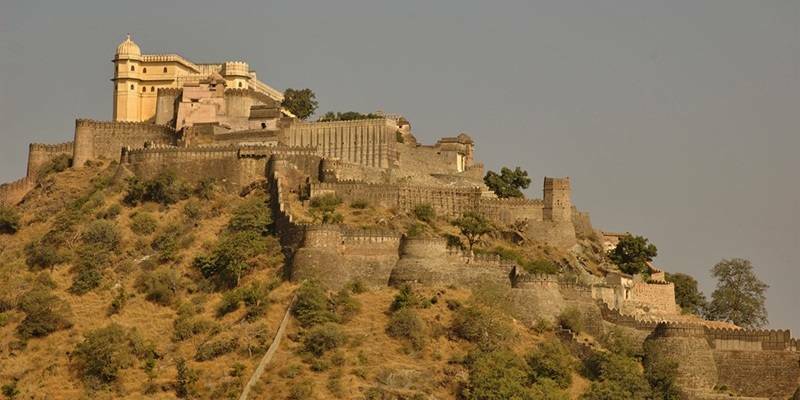 Like most of the forts, Kumbhalgarh has also been built on a hilltop. The fort houses more than 380 temples, 310 of which are Jain and the remaining are dedicated to Hinduism. There are seven massive entrance gates. The construction story of the gates and fort is very interesting. It is believed that the rulers were finding it very difficult to construct the fort as the walls were falling again and gain due to some reasons. A spiritual advisor said that if a human is beheaded in the area, a temple should be constructed wherever the head falls and the walls should be constructed at the place where the body rests. This way, all the problems can be solved. Amazingly, a pilgrim volunteered and that is how this fort was built. Bekal Fort is located in Kerala, India and certainly is one of the great forts of India. Unlike other forts, Bekal does not have palaces or temples. However, a tunnel and the Observation Tower often attract the attention of tourists. It looks like the fort was built up from the river as a major part of it has been drenched. 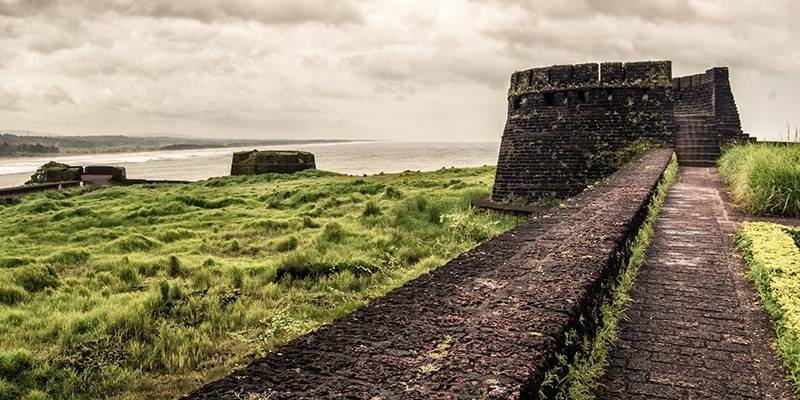 Bekal Fort was primarily used only for defence purposes. There are many holes in the walls from where shots could be fired. From the top, shots could be aimed for far away points. The Observation Tower was used to observe the movement of enemies. A Hanuman Temple and a mosque is nearby which is often frequented by tourists who visit Bekal Fort. Purana Qila located in Delhi was built by Sher Shah Suri. Some believe that Sher Shah Suri renovated an old fort and that this Fort actually was built about 5000 years back. There are three magnificent entrance gates, namely, Bara Darwaza, Humayun Gate and Talaqi Gate. 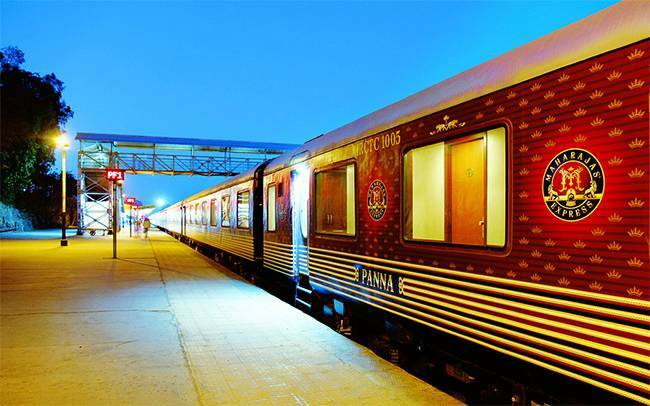 The architecture resembles pure Rajasthani style. Qila-i-Khuna Mosque is sure to lure you by its awe inspiring architectural design. Sher Mandal is also present here which was later converted by Humayun into a library. This was the place where Humayun fell down the stairs and died two days later due to head injuries. A museum is also present within the premises which has on display many rare artefacts obtained from the excavations. 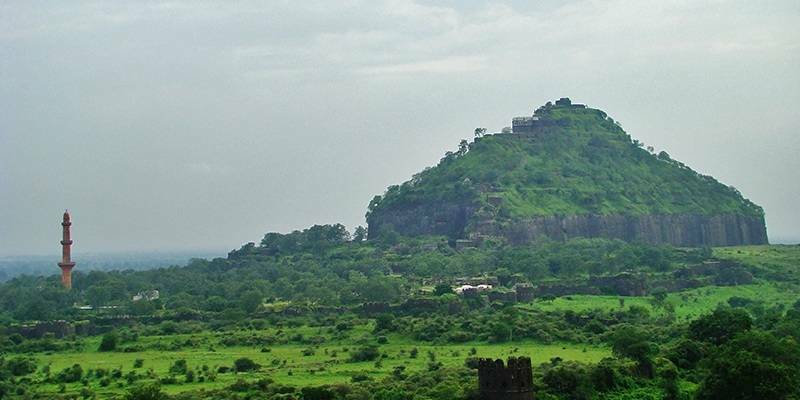 Daulatabad Fort is located near Aurangabad, Maharashtra and on of the best forts in India. It is constructed on a 190 m high conical hill. There is a narrow bridge to reach the summit. The route is in itself enough to fill you with excitement. The fort has been especially built for defence purposes and thus exemplifies amazing strength. Chand Minar which is approximately 63 m high was constructed to mark the victory over Daulatabad in 1400’s. The Chini Mahal is the place where Aurangzeb imprisoned the last Golconda King. A mosque named Jumma Masjid is also present within the premises of the fort. The rampart with a canon and the head of a ram also lures many history buffs. There are many large canons present within the fort. 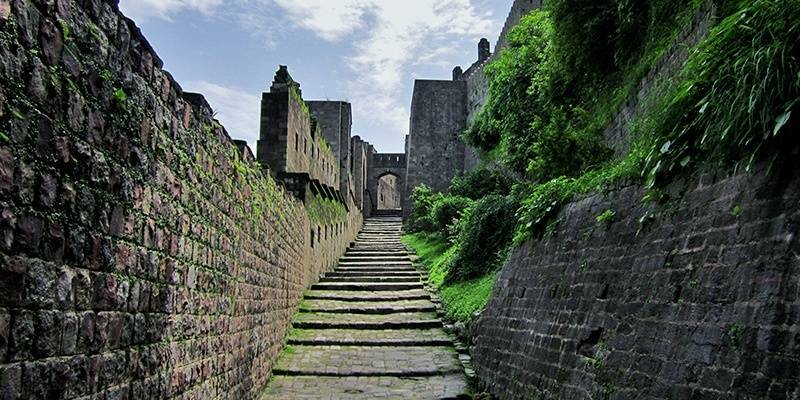 Daulatabad Fort has been well maintained and has witnessed some very significant historical events. 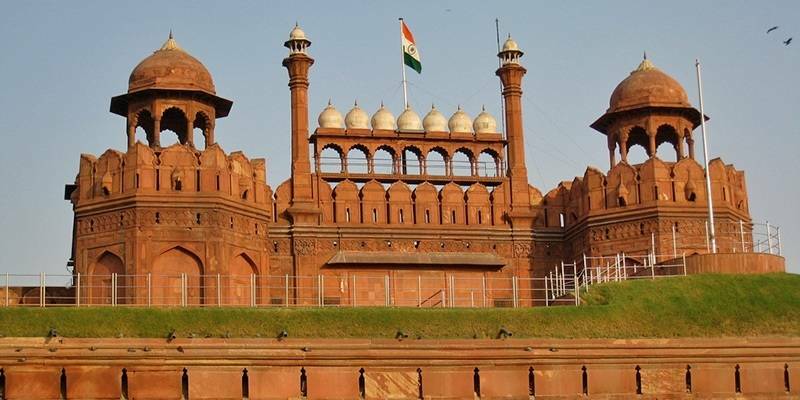 Red Fort located in Delhi is undoubtedly the most significant fort of our country. Mughals lived here for about 200 years before The East India Company defeated them. Built by Shah Jahan in 1648, Lal Quila was the main centre of all activities during the reign of Mughals. On Independence Day, the Prime Minister hoists the national flag here and delivers a speech. This area is often on red alert and therefore, you must avoid visiting this fort on the eve of Independence Day. Built from red sandstone it perfectly blends Indian and Persian style of architecture. Though any amount of appreciation is less for the structures present here and each structure has its own share of story to tell, the most noteworthy structures include Lahori Gate, Water Gate, Delhi Gate, Chatta Chowk, Diwan-i-Aam, Naubat Khana, Nahr-i-Behisht, Rang Mahal, Mumtaz Mahal, Diwan-i-Khas, Khas Mahal, Hammam, Moti Masjid and Hayat Bakhsh Bagh. This is a place which you should definitely visit at least once in your lifetime. 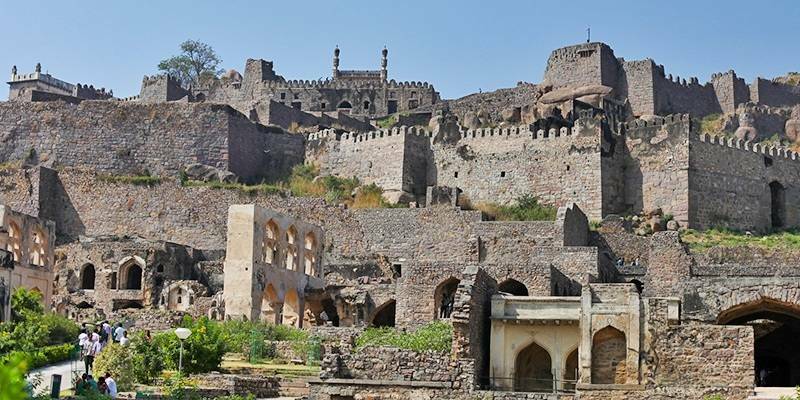 Golconda Fort is located near Hyderabad, Andhra Pradesh. It is one of the most magnificent historical structures. It is built on a hill which is about 500 feet high and is surrounded by huge walls. According to the legend, initially a mud fort was built at this place where a shepherded once reported the presence of an idol. Later on, this huge fort was constructed at its place. It was the main centre of all activities in Hyderabad. This fort had the reputation of standing victorious after every war. It was only when a traitor opened the gateways allowing Aurangzeb to attack and succeed in defeating the fort. The fort has been well maintained by the authorities. The main attraction here is the acoustic effects. It is said that if you clap near the entrance, the sound can be heard even a kilometre away. 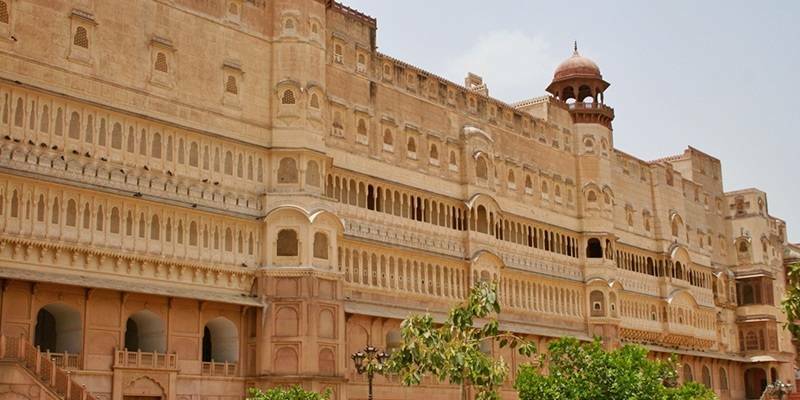 Junagarh Fort was built in 1594 and is located in Bikaner, Rajasthan. It is one of the very few important forts which are not built on the top of a hill. It has a long history of attacks from different rulers. Junagarh Fort has been very well maintained and is one of the most important architectural structures of the area. It has a rectangular layout surrounded by walls which are about 40 feet high. There are seven entrance gates. Suraj Pol is the main gate and on the wall of Daulat Pol gate can be seen 41 handprints of queens who committed sati after the death of their husband. Har Mandir Temple was visited by the royal family in olden days and is now frequented by tourists. There are some really beautiful palaces present which include Karan Mahal, Anup Mahal, Phool Mahal, Chandra Mahal, Ganga Mahal, Badal Mahal and Bikaneri Havelis. A museum is also present which houses some rare artefacts. 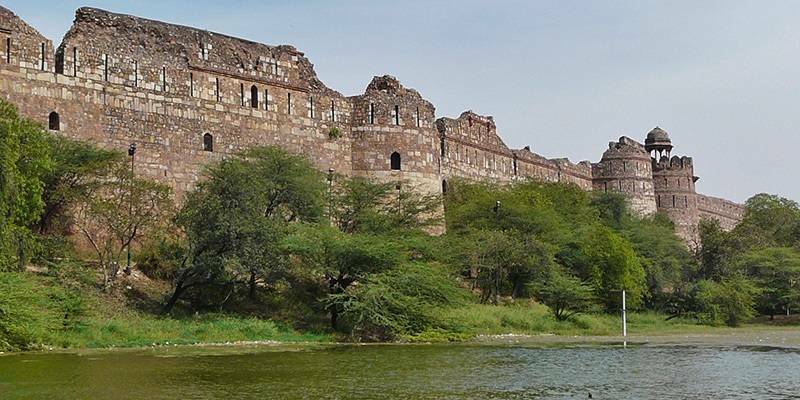 Jhansi Fort located in Uttar Pradesh is often remembered because of Lakshmi Bai and her bravery acts. Lakshmi Bai lived here after the death of her husband and led the forces against East India Company. Like most other forts, it is also built on the top of a hill. There are ten entrance gatewyas namely, Chand Gate, Khanderao gate, Sainyar Gate, Datia Darwaza, Orchha Gate, Unnao Gate, Sagar Gate, Jharna Gate and Laxmi Gate. Some temples are also present, including, Shiva Temple and Lord Ganesha Temple. Later Rani Mahal was built which is now used as a museum. Many artefacts related to th1 1857 uprising are present here. 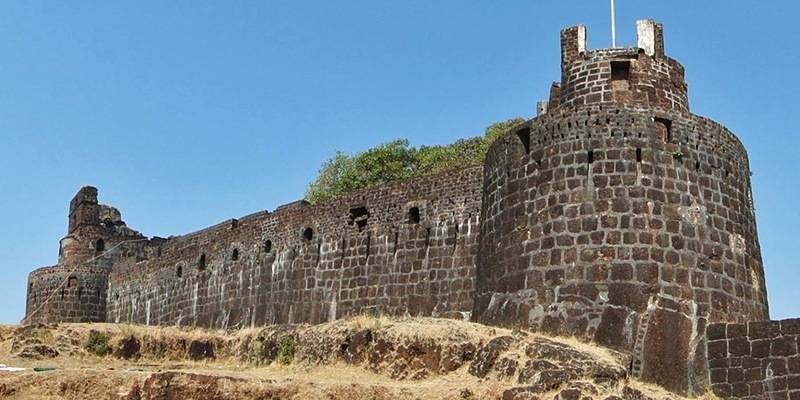 Sindhudurg Fort located in Maharashtra is one of it’s kind. It is situated on an island in Arabian sea off the coast of Maharashtra. It was constructed in 1656 by Shivaji Rao. Though there are not many important structures or museums present within the fort but the fact that it is built in the middle of a water body is enough to attract the tourists. Some locals still live in the fort although most left due to lack of employment opportunities. Facilities like scuba diving are available. One must visit this place for its unique architectural design and surreal natural beauty. Each fort has its own past. Each fort has witnessed in the past some very important tales. My advice to you is to visit these forts and make them a part of your tale.